Qari Waheed Zafar Qasmi Naats - Qari Waheed Zafar is among one of the noble Hamd and Naat Khawans of Pakistan. He began Quran reciting at the age of just 7 years. At the age of 9, he became Hafiz-e-Quran. He participated in several Qirat events all around the world. In 1969, he won the first competition for Pakistan in Malaysia. In 1979, he won another event in Libya. However, he emerged as a winner in Tilawat-e-Quran-e-Majeed in Saudi Arabia and Syria in 1980 and 1981 respectively. In 1970s, Qari Waheed Zafar Qasmi also joined Radio Pakistan and “Sar Chashma-e- Hidayat” was his first program. Later, he did different programs on radio as well as TV. Allah Hu Allah Hu was his first Naat in 1972. 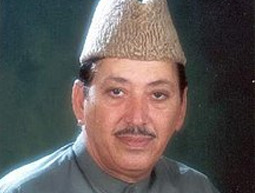 Qaseeda-Burda Shareef, Zahe Muqaddar, Khuda Ka Zikr Karein, and Fasloon Ko Takaluf Hai Hum Say Agar are among his popular Naats. Qari Waheed Zafar Qasmi also effectively performed his role as the judge in Qiraat and Naat competitions. He helped Pakistan to win several international events over years. He also provided training for different renowned artists in the field of recitation. The government also awarded him the Pride of Pakistan award. However, he received it from the President of Pakistan in 1984. Waheed Zafar Qasmi Naats reveals his passion and love for Prophet Muhammad (صلى الله عليه وسلم) He also provided training for different renowned artists in the field of recitation. Umm-e-Habiba, Roshan Ara Samad, Javed Akhtar, and Khalid Hussain are just a few of them. On this page you can listen from a vast collection of Waheed Zafar Qasmi Naats. You can facilitate from the Waheed Zafar Qasmi Video Naat and can watch it online with ease. We give you access to free download audio and video Naats in the soulful voice of Waheed Zafar Qasmi. We also accommodate Waheed Zafar Qasmi new album for your assistance. Waheed Zafar Qasmi 2019 New Naats are also available on this page.